Travelling to conferences within and beyond the UK in order to create and manage international networks for research is an important part of being an academic. At Coventry University, we PhD students are encouraged to attend conferences early on. I attended my first conference – the Royal Geographical Society’s Annual Conference 2016 in London – 4 months into my PhD, albeit only as an audience member. It was a fantastic experience and prepared me for the following year when I was able to present early thoughts about the results of my fieldwork. Attending a workshop on academic publishing organised by the publisher Wiley and specifically targeted at PhD students and Early Career Researcher at Auckland University in Auckland. 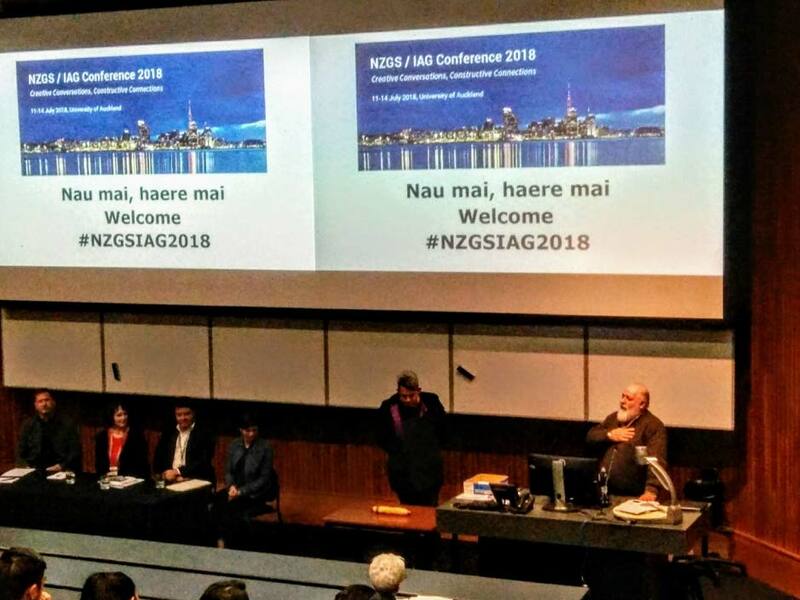 Convening and chairing a session as well as presenting my own research at the biennial conference of the New Zealand Geographical Society (NZGS) and Institute of Australian Geographers (IAG) at Auckland University in Auckland. Participating in a workshop about transdisciplinary research practice with a specific focus on employing a knowledge ecologies approach as a way to combine different knowledges from STEM (Science, Technology, Engineering, and Mathematics) and HASS (Humanities. Arts, and Social Sciences) at Manaaki Whenua Landcare Research in Lincoln. Presenting my research at the School for Geography, Environment and Earth Sciences at Victoria University of Wellington during a lunchtime seminar. While this is the chronological order in which these events happened and they ended up fitting very nicely together timewise (luckily! 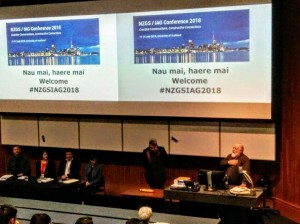 ), this was not by design and it all originated from my plan to attend event #2 – the NZGS-IAG conference at Auckland University. This means that through a single event I catalysed a whole series of opportunities to network and talk about my research. This joint conference is held every 4 years and is an important meeting for Southern Hemisphere geographers, which fits well with my research focus on South Africa. As I was trying to make the most of this trip, I decided to not only send in an abstract to present my research but to try my hand at convening a session around my research interests. While my research specifically investigates the role commercial agriculture plays within the context of water governance, I am more broadly intrigued by how economic, social, and cultural structures and dynamics influence the way we manage the environment. I translated this interest into a session idea themed ‘Water Governance beyond the Water Sector’. Before submitting the full proposal I bounced the idea off with the conference organisers to see if the topic was of interest and whether it fit with their vision of the conference. I can strongly recommend getting in touch with conference organisers when submitting a session to a conference (especially if it’s a ‘smaller’ one), you might need to wait a bit to get an answer if organisers are busy, but they are also a fountain of information. To maximise my networking opportunity I was quite keen to co-organise my session with a researcher from New Zealand or Australia and the conference organisers did indeed put me in touch with another researcher based in NZ. In the end she was not able to attend the conference, but she invited me to event #3: a workshop she was organising the week after the conference, specifically on inter- and transdisciplinary research practice at Manaaki Whenua Landcare Research in Lincoln on New Zealand’s South Island. First lesson learnt: don’t be afraid to discuss your ideas with event organisers – it might lead to other opportunities! Organising a session as a PhD student is also a great way to gain experience in chairing discussions and a nice add-on to your academic CV. If you have slight introvert tendencies, like so many academics, and you feel overwhelmed by all the unknown people at a conference, then convening a session is also a fantastic way to connect with an initial group of people with whom you share interests, i.e. the people presenting in your session and even the people attending your session. You can then use your session, the presentations, and/or the discussion had as an easy conversation starter (second lesson learnt!). It does make networking so much easier. Registering for event #2 also brought me to event #1. This seminar themed ‘an introduction to publishing for early career researchers’ quite randomly happened to be scheduled for the day before the NZGS-IAG conference started. It was organised by the publisher Wiley and also took place at the University of Auckland. It consisted of a presentation from Wiley representative, followed by a panel of editors of a variety of academic journals across different disciplines. I only received information about this seminar because I had registered for the NZGS-IAG pre-conference event for Early Career Researchers. Many larger conferences will organise pre-conference events and often there will be something targeting PhD candidates and Early Career Researchers. 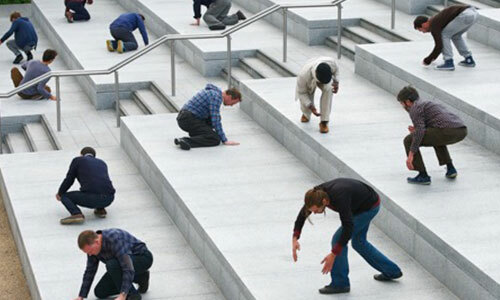 It is a great way to meet people at the same career stage. Third lesson learnt: do attend pre-conference workshops and social gatherings/receptions as, again, unforeseen opportunities might arise (see below). It is also this pre-conference workshop for Early Career Researchers that led me to event #4: presenting my research during a lunchtime seminar at Victoria University of Wellington in Wellington (or VIC for short), back on the North Island. I received this last invitation after I spoke to a couple of PhD students that sat next to me during the pre-conference event. We happened to be using similar concepts but investigating different aspects. 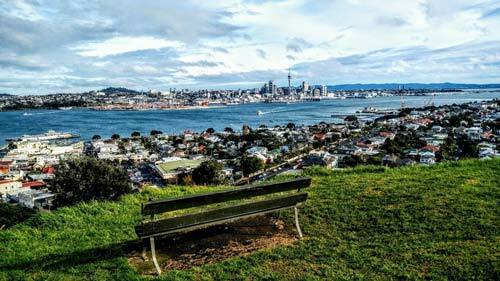 As I had planned a couple of days in Wellington before returning to the UK anyway, they invited me to present at their research centre during a lunchtime seminar – similarly to those we host at our Centre for Business in Society (CBiS). Although everything was quite short notice, a good number of people showed up, we had a great discussion around my research, and I was able to meet and connect with different research staff. 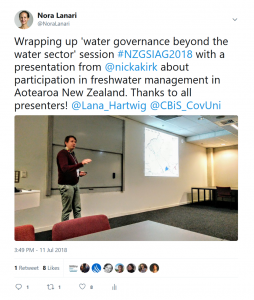 This New Zealand adventure ended up being a jam-packed trip – from registering for one event, I ended up attending 4 different ones, which created opportunities to network and talk about my research. Each of these experiences taught me different things: do not be shy about getting in touch with event organisers and discussing your ideas and attend pre-conference workshops and other (social) events surrounding the conference as you never know if this might lead to unforeseen opportunities. 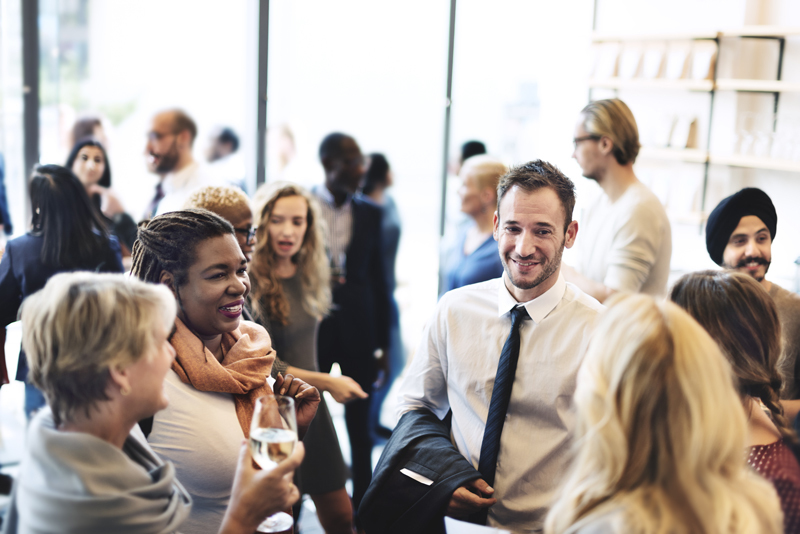 Also, organising a session is a really good idea because it is interesting but also because it is an easy conversation starter for networking during the conference. Above all this research trip to New Zealand has given me plenty of opportunity to talk about my research and hear other people’s thoughts about it and reactions to it. And this practice has given me increased confidence in communicating my research to different people. This trip was made possible through generous support from different funding streams within Coventry University, including the Research Mobility Fund administrated by the Doctoral College, funding from my faculty (Faculty of Business and Law), and the International Experience Grant provided by the Centre for Global Engagement.